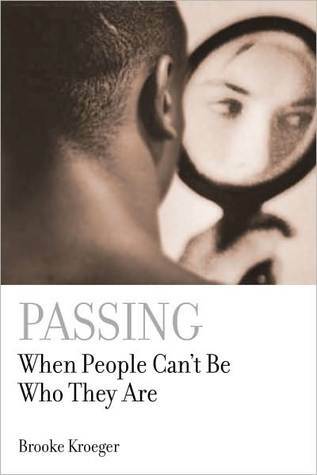 Passing tells the poignant, complicated life stories of a black man who passed as a white Jew; a white woman who passed for black; a working class Puerto Rican who passes as privileged; a gay, Conservative Jewish seminarian and a lesbian naval officer who passed for straight; and a respected poet who radically shifts persona to write about rock ‘n roll. Passing explores a phenomenon that has long intrigued scholars, inspired novelists, and made hits of movies likeThe Crying Game and Boys Don’t Cry. Researching the life of Fannie Hurst for my second biography, the black-for-white subplot of her novel Imitation of Life got me thinking about the phenomenon of passing. Hurst’s 1932 depiction makes the notion seem so passé, I found myself wondering if people passed anymore and if so, what would compel them to make such a drastic life choice now, especially with our at least relatively more tolerant age as a backdrop. I found subjects by the dozens. The reasons to pass today, it turns out, are many, but the one that seemed most urgent to explore in depth was the passing that saves a worthy person from being excluded unjustly in the pursuit of very ordinary aims and ambitions. Each of the stories in this book, I think, could stand alone; but I confess to having had a larger purpose in drawing this disparate group together. Passers are, in the words of one scholar, “ideal questioners of the status quo.” Their stories have the power to expose much larger societal wrongs, either in the specific settings in which the episodes take place or beyond. Brooke Kroeger is also the author of two biographies: FANNIE: The Talent for Success of Writer Fannie Hurst (1999) and NELLIE BLY: Daredevil, Reporter, Feminist (1994). PASSING (2003) is her third book; UNDERCOVER REPORTING: The Truth About Deception (2012), her fourth; and THE SUFFRAGENTS (2017), her fifth.